The flower adapted for a 50th wedding celebration, the Violet’s meaning and symbolism is replete with interesting stories and cultural/religious connotations. 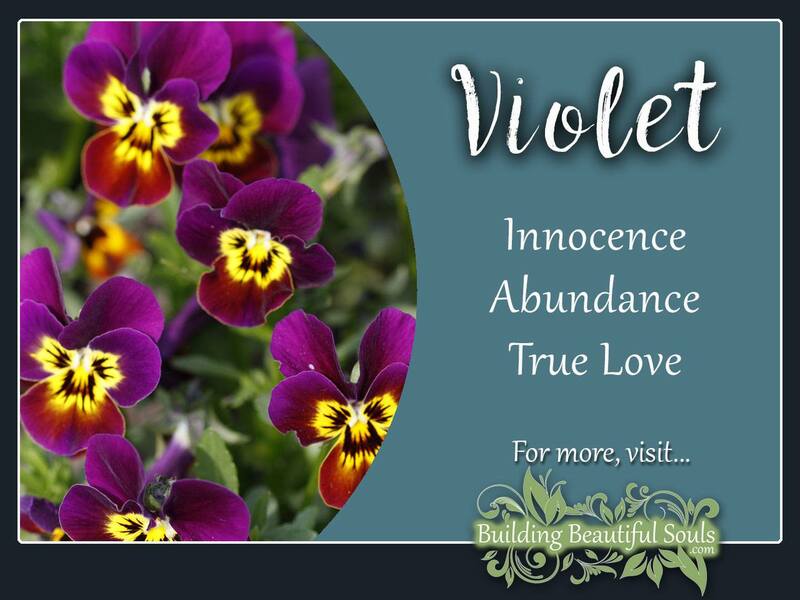 Beginning with Christianity, the title Viola odorata means “Our Lady of Modesty” and thus the flower is associated with Mary’s humble nature and her devotion. The story goes that Violets first blossomed when Gabriel told Mary of her son’s impending birth. The Angel Gabriel watches and communicates with humankind, which gives violet another level of potential meaning – that of protection and connections. In some sacred art they’re also used to depict a person with deep spiritual insights. These particular association also appeared throughout the Renaissance as part of Classical works. So why the symbolism of modesty? Perhaps because it’s often hard to find the beautiful Violet spirit behind its heart-shaped leaves. During the Middle Ages monks called Violets an Herb of the Trinity because they have three primary colors. They also used the folk name of hearts ease because healers had it in their kits for heart disorders. There is no reason we cannot apply this symbolism for emotional struggles as well. Reach out to Violet Spirit when your heart is aching, or when you hope to inspire true love. Violets had many uses in the ancient world. They were part of many beauty preparations. 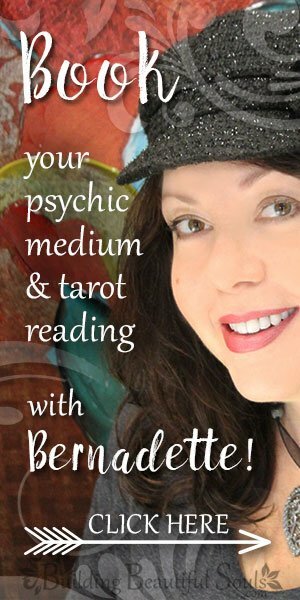 Metaphysically you can apply this energy spiritually for personal loveliness or glamour spells. In Rome violets were common funeral flowers that represent remembrance. Visitors typically carried the flowers with them to safeguard them from air-borne sickness. This custom may tie to the story of Persephone who was picking violets when Pluto took her to the underworld. Many a traveler used violets to keep their bellies full. The roots, for example, make an excellent soup. To this day violet flowers may be candied and used as edible decorations. In this setting they represent providence. Faith, Mystical awareness, the Subconscious, Inspiration, spiritual passion, profuseness and sovereignty. Violet was used very early in human history often produced by grinding manganese and mixing it with other components. The Egyptians used mulberries, and the Romans –bilberry to create this purplish hue. No matter the process, violet was a relatively expensive color which is how it became associated with leaders, nobles, clergy and the wealthy. This connection waned a bit during the Renaissance when violet appeared on the professors and teachers of the time. Based on these applications violet’s color resonates with leadership, prosperity, power, spiritual awareness, confidence and mental acuity. It’s interesting in that just as the Violet flower hides behind its leaves, the color Violet is the most difficult for the human eye to distinguish. Psychologically men prefer the darker violet tones, while women find lighter shades appealing. You can use this awareness in choosing the color of your flowers for various magical workings, using darker hues for “Yang” connections and lighter for “Yin”. Dreaming of Violets is usually a happy portent. It reveals joy in the home and a sentimental heart. In some cases it may reveal a part of your personality that’s overly shy or fearful. This ties again into the Violet’s symbolism of modesty and restraint. If you see yourself picking a violet you may have fallen in love (literally or with a project). Giving a violet in your dream foretells good fortune with relationships. You can learn more about the language of dreams and flower symbolism in our Dream Dictionary. The Victorian Language of Flowers stays true to the historical symbolism of violet as meaning modesty. Blue violets mean devotion and white violets are both purity and an invitation to gamble on love. Historically healers used violets for people suffering from mouth and throat cancers. This particular application dates back to ancient Greece. They also used violets in bathes to sooth and nourish skin. As an essential oil it appears in remedies for headaches, insomnia and anxiety. As a decoction violets may help fevers and headaches resulting from colds. It has the extra bonus in that violets taste rather sweet, so you don’t have to hold your nose while drinking! You can also make the decoction into syrup for coughs. Violet ointment applied to swelling helps reduce inflammation. It also eases the soreness of cracked skin. Perhaps one of the most popular applications for Violet is as a beauty aid for brightening skin and keeping it supple. Violet oil appears in a wide variety of perfumes, deodorants and hair washes. Metaphysically speaking violet appears in various magical workings aimed at manifesting prophetic dreams, facilitating inventiveness, inspiring prosperity, manifesting wishes and bringing peace. Carried it acts as a charm against evil. For newlyweds it is a good luck flower. Added to a green-colored sachet this keeps evils spirits away, particularly those who would do you physical harm. Violets come under the dominion of Venus, which gives them associations with love potions and spells. Frequently practitioners mixed the petals with lavender for luck in love. Alternatively stuff this mix into a sachet for under your pillow to dream true. In the Victorian Flower Oracle Deck violet represents retreat and shelter. Its appearance signals “down time” or hiding away to protect something you value tremendously. Alternatively it may signal a period of growth where you simply have to release and allow. Violet says: To Everything there is a season. In the Victorian Flower Oracle Book the Violet Spirit represents humility, good fortune, restfulness, accord and insight. It is ruled by Venus and its Elemental association is water. The Master Number 11 is that of a teacher, so the question becomes what the Violet Spirit wishes to teach us. Some of the lessons from this plant beyond the power of humbleness include social and environmental responsibility, the importance of staying connected with Spirit, putting thought into action, sympathy, diplomacy and self-worth. When Violet appears repeatedly in your life you may be challenged by some type of trial or test, and it may not be a “fair” one. Let Violet guide you in sorting truth from fiction so that no matter the situation you’re able to transform vibrationally toward self-actualization. greatest muse. During the Victorian Era, the Queen loved to sip violet tea with honey or have the flowers prepared into syrup. Historians tell us that Napoleon adored Violets and always wore a locket of them picked from Josephine’s grave. Prior to her death she wore violets on their anniversary, having an extensive personal garden filled with them. This is how the French came to choose violets as an emblem. Victorians were nearly as addicted to violets as was Napoleon. In the late 1800s upwards of six tons of violet flowers were harvested in France annually just to keep up with demands. The English used them extensively for the royal family and court. There are currently about 500 species of violets including the popular African variety. They’re amiable plants for growing, and look quite pretty even without petals. Greco-Roman myth tells us of Cybele’s love for Attis. When he died hunting boar, violets grew from his blood in his memory. A more upbeat bit of lore says that violets grew wherever the bard Orpheus laid his lute. A third story from Greece claims that Zeus had a hankering for a lovely woman named Io (whose name happens to mean Violet). Out of fear of Hera’s vengeful jealousy he turned Io into a cow and made her a field of never ending sweet violets to eat for all eternity. Not to be outdone, Romans also had a story about Violets that begins with an argument between Venus and Cupid. Venus asked who was more beautiful, her or a group of girls. Cupid feeling uppity said the girls. Venus became enraged and beat the girls, their blue bruises becoming violets. Finally in Iroquois folklore there’s a story of a great warrior who was known for his amazing feats of valor. One day in his travels he spied a beautiful woman who he wanted to make his own, but could not because of tribal rivalry. In an effort to turn fate’s tide he gave up fighting and spent all his time singing of the woman’s many attributes. The birds heard the song, as did Beaver, Bear and Fox. The birds started singing too and the woman finally came out from her tribe as a willing captive. The rival tribe was enraged and hunted the two down to their deaths. Where their bodies lay in the forest, violets blossomed and remain a symbol of constant love to this day.